The event sees us paired with a journalist or TV presenter who has come over from Latin America, to attend the awards and report back to their home audience about the event. 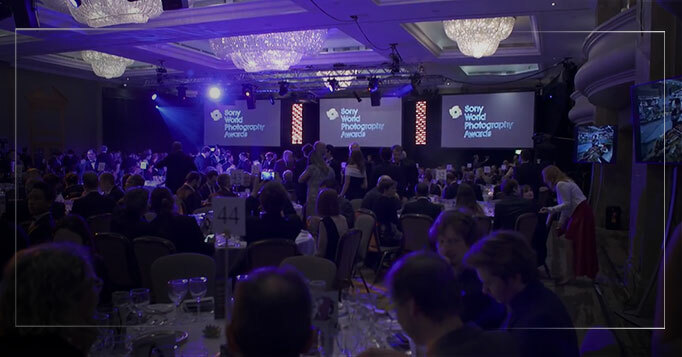 Alongside them, winners from that corner of the globe are brought over to enjoy the dinners, award galas, exhibitions and more and potentially win one of the major awards for their photography. Our footage is used on TV shows in Latin America and for online broadcast as well. We shoot interviews with the winners and photographers, film pieces to camera from the journalists and get a wide range of coverage from the different elements of the events to enable them to construct the story as they wish when they return home. This short highlights video showcases some of the activities undertaken across the two days of coverage. Alongside the event videography filming, we also took stills which are used as a record of the event for the winners and used in online promotion to showcase the event and it’s atendees.